South African mathematics and science educators are often criticised for poor performance in their subject matter and as a result high school learners struggle to pass the subjects satisfactorily. 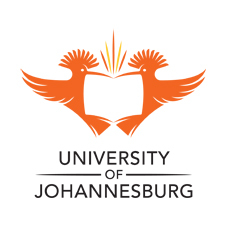 The University of Johannesburg (UJ)’s Science Centre at the Soweto Campus is addressing this challenge by playing a crucial part in mathematics and science education. The Centre, which will reopen for its 2014 academic year on Saturday, 18 January 2014, was established in 2010 to open the door of knowledge for school children, teachers and the community of Soweto. Prof Muronga highlights that the Centre is also a necessity in the community because it not only encourages learners to do well in matric, but it also prepares them for the challenges of university. “University lecturers and tutors noticed that some learners are not well prepared academically when they enter university. Many of the schools in Soweto do not have laboratories where learners can do practical experiments,” says Prof Muronga. Through innovative science theory and laboratory lessons, computer training, exhibitions stressing on aspects of everyday life and other developments relevant to South Africa, the UJ Soweto Science Centre is ideally poised to play an important role in nation-building efforts. · Participating in organising National Science Week, public talks, expo day, science day, career guidance day and other science related activities including mobile science labs, exhibitions, and activities in the space laboratory for Hands-On-Universe and Universe Quest projects. In 2013, the Centre had a total number of 821 learners from schools around Soweto and surrounding regions. Of these leaners 82% showed an improved mark in the relevant subject. Leaners attended supervised laboratory and tutorial sessions on Friday afternoons and theory lessons on Saturday and during school recess. This year’s programme is designed on a university model to introduce the learners to a university culture, thereby bridging the cultural gap between high school and university. The learners are also provided with the necessary learning material for each grade level. The enhancement of teacher professional development at the Centre is further augmented through a Teacher Development Project coordinated as part of the partnership involving the South African Institute of Physics (SAIP), Institute of Physics (UK) and the University of Johannesburg.